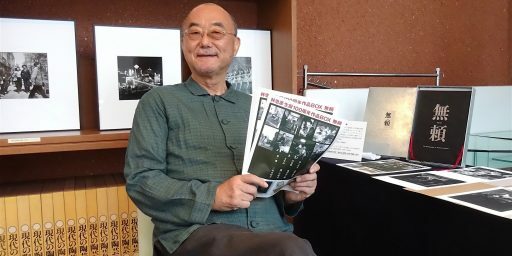 津島 佑子（つしま ゆうこ、1947年3月30日 – 2016年2月18日）は、日本の小説家。本名は津島里子（つしま さとこ）。作品は英語・フランス語・ドイツ語・イタリア語・オランダ語・アラビア語・中国語などに翻訳されており、国際的に評価が高い。東京都北多摩郡三鷹町（現・東京都三鷹市）生まれ。小説家太宰治と津島美知子の次女。Satoko Tsushima (30 March 1947 – 18 February 2016), known by her pen name Yūko Tsushima (津島 佑子 Tsushima Yūko), was a Japanese fiction writer, essayist and critic. Tsushima won many of Japan’s top literary prizes in her career, including the Izumi Kyōka Prize for Literature, the Noma Literary New Face Prize, the Noma Literary Prize, the Yomiuri Prize, and the Tanizaki Prize. The New York Times called Tsushima “one of the most important writers of her generation.” Her work has been translated into over a dozen languages.